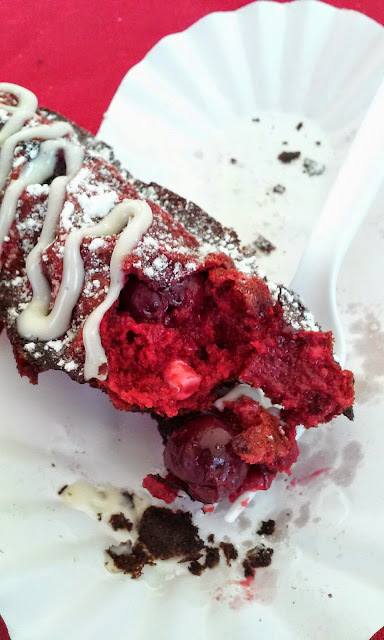 Seattle's Chinatown-ID Dragon Fest 2014 w/ Food Reviews! 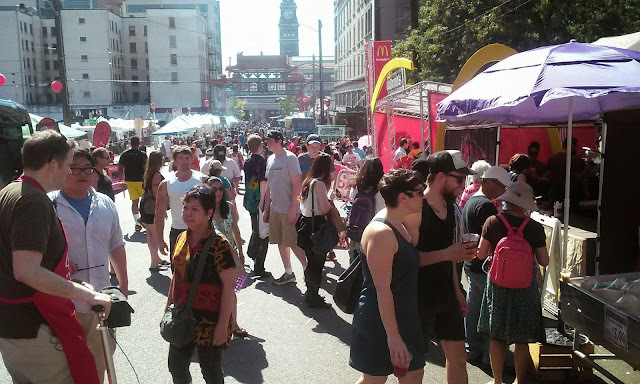 This past weekend was the McDonald's presents Seattle's Chinatown-ID Dragon Fest and I was so glad that I went! I couldn't pick between two ice cream flavors, so naturally, I got both! 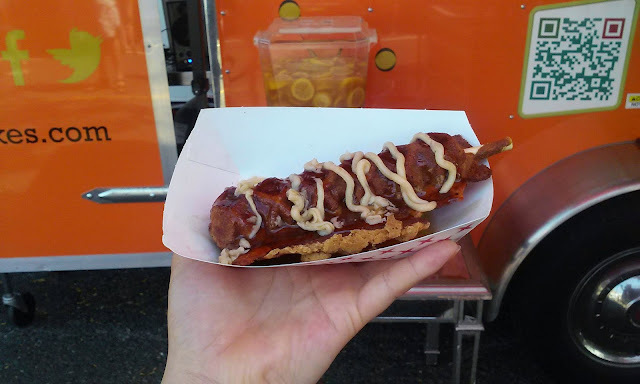 Here's a look at the event and of course..some food pics! 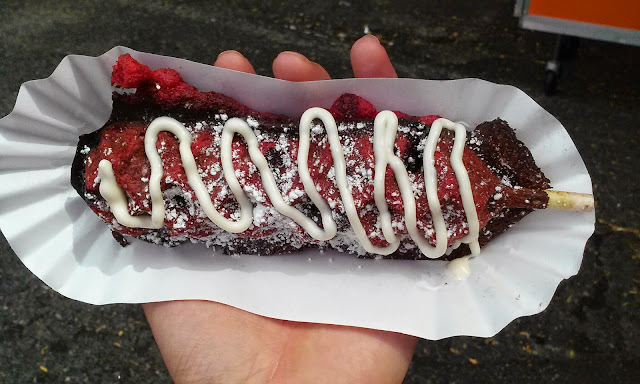 I didn't spend much time at Dragon Fest on Saturday since I went to the Mariners game, but on Sunday, I was there the whole day working, but of course, I had to try some food places! 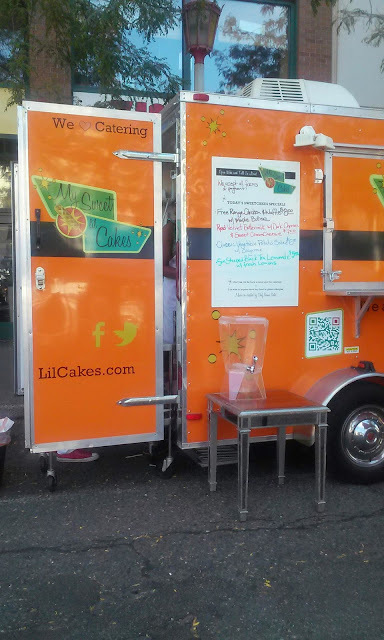 My first stop was the My Sweet Lil Cakes food truck that makes, as it says, sweet cakes, but in stick form which I loved the idea behind. The workers there were also very friendly. 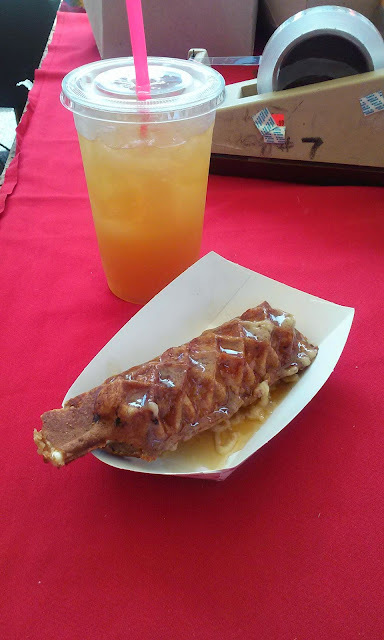 It took awhile for them to open, but when they were ready, they had the Free Range Chicken & Waffle w/ syrup and butter ready to go! 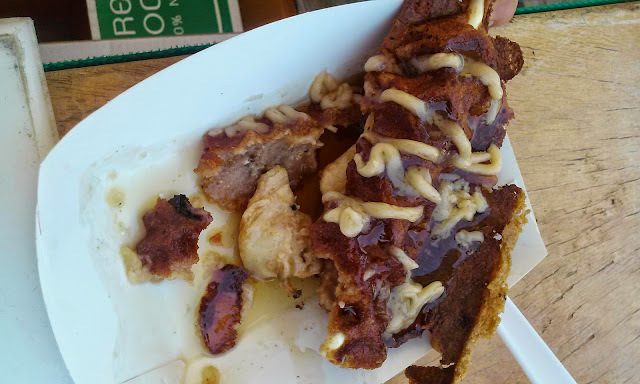 As you can see, this piece was a fried batter of goodness drenched in syrup and butter. 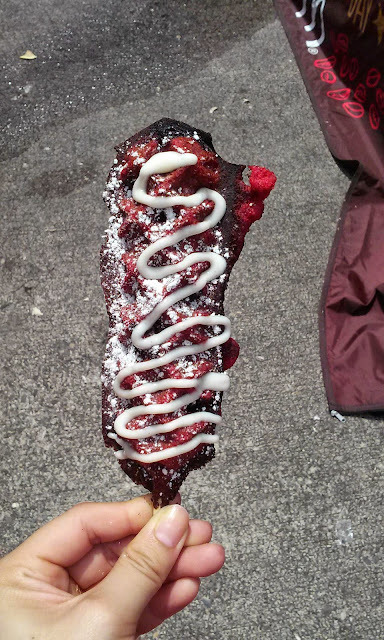 I wouldn't recommend eating too many of these, but one is definitely enough to indulge yourself! I loveeeed this! 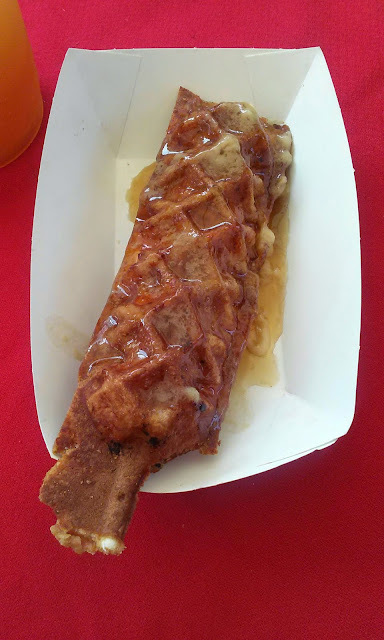 Inside of the chicken & waffle on a stick. Inside the pancake you can see the cherries. 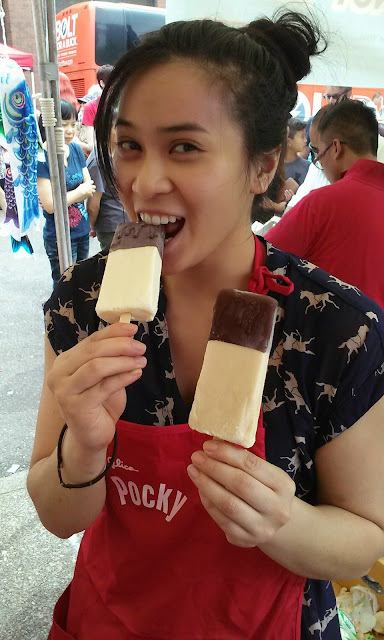 For a mid meal break, I then went ahead and got some ice cream bars! 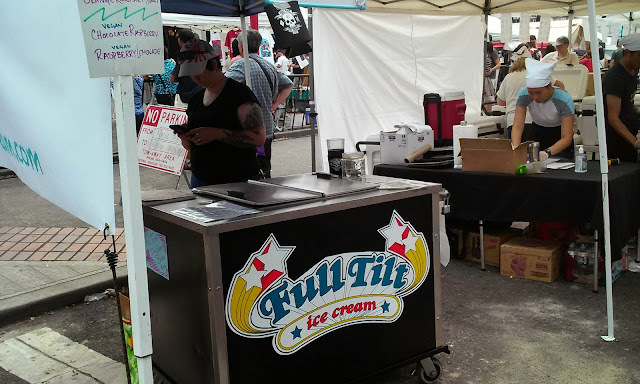 I love Full Tilt Ice cream (local to Seattle) and especially their Salted Caramel one. When I saw that they had it in bar form, I had to get it! Buttt, when I saw that they were 2 for $5.00 and had an Orange Rosemary Honey flavor, I knew I had to get both, and both I did get! It probably wasn't the best idea since at the end they started melting a bit, but I was able to finish them both off fine! 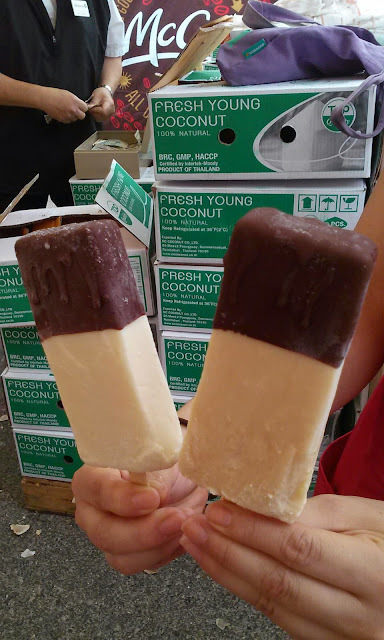 I didn't care too much for the chocolate dipped on top of the bars since it took away from the natural flavor of the actual ice cream itself but once I finished the chocolate, I could taste the ice cream flavors. I really enjoyed the subtle hint of orange and honey on that bar (couldn't really taste too much rosemary). The salted caramel wasn't as salty as I thought it would be (slight disappointment) and parts of the bar was iced over, so not smooth ice cream but weird iced bits that were crunchy and not what I was expecting. Still good for a hot day, but could have been better! 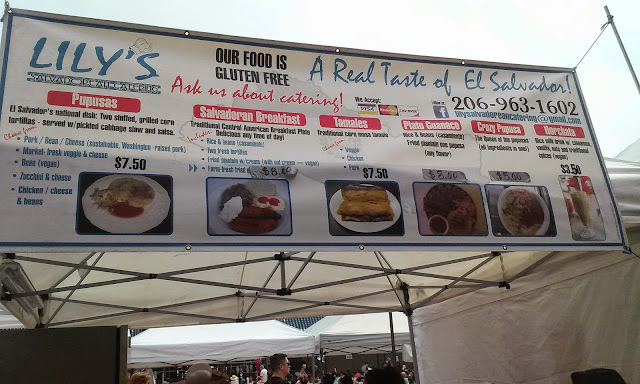 The last thing I ate, I wasn't even going to eat, but once I saw that it was El Salvadorian food with pupusas, I had to try it! 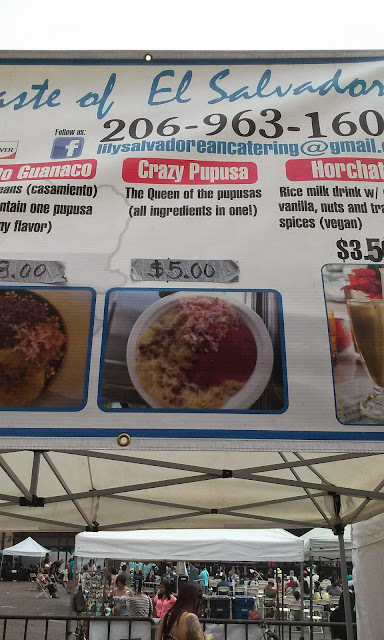 The pupusa was nice and hot, they put it on the grill once I was there. 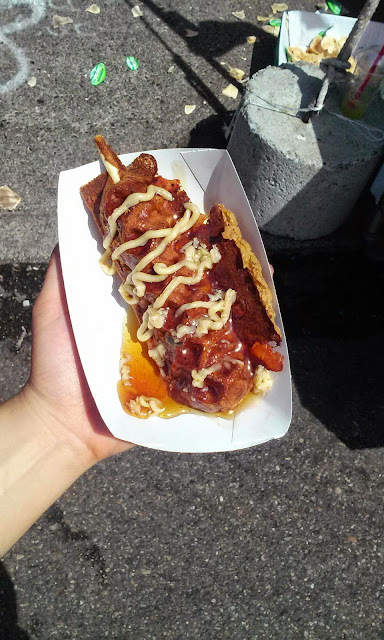 It is like a pancake stuffed with a lot of ingredients, or if you're familiar with the Korean Pajun (pancake) it is kind of like that. 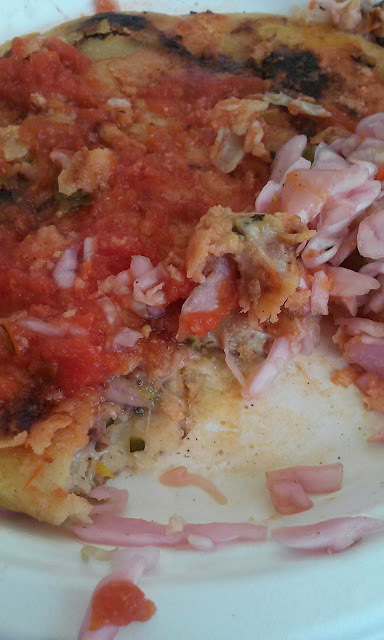 Another way I can think of describing pupusas is if it was like a tamale in pancake form but less dense. 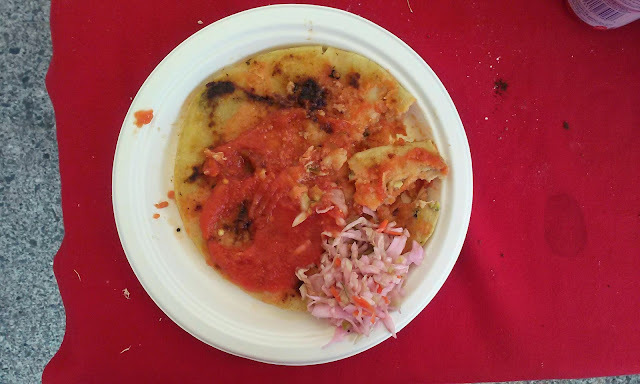 The flavors all melded together and the pickled veggies were a nice cooling touch to the salsa and heat of the pupusa. 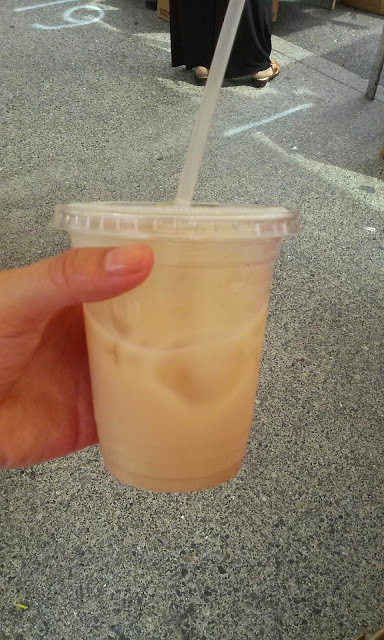 The horchata was different than most I've had that were just rice and spices since this one also had peanut in it as well (hence the more brown color). I really liked this a lot and it reminded me of a few Asian drinks that have peanuts in them. 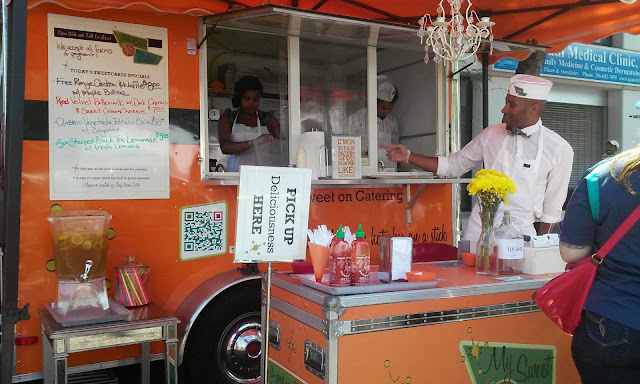 Overall, this was a successful event and I was glad I was able to eat such good food and try some new things! 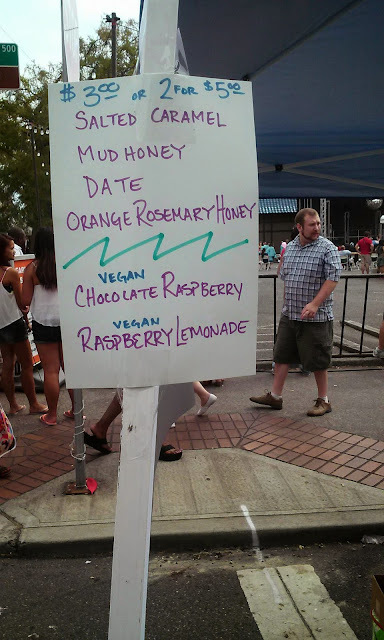 I love Summer time in Seattle and can't wait to go to more events! 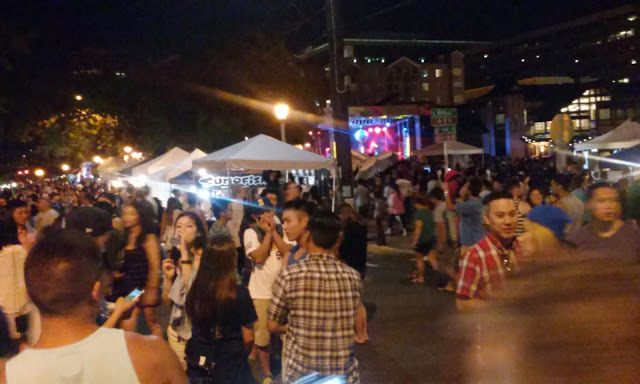 Do you like going to festivals and fairs in your home town? What are you favorite ones? If I ever am in your area during your summer, I'd love to check them out! Oh my gosh this food looks so good! 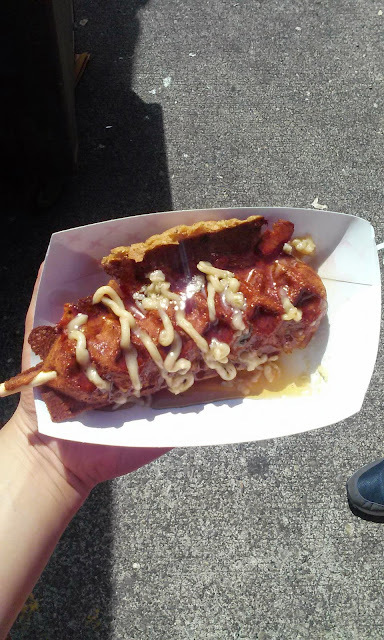 In Cincinnati we have food truck rallies from time to time and we have a big food festival called Taste of Cincinnati. I doubt you'll ever come here because who actually comes to Cincinnati? But I'm really happy I stumbled upon your blog! Everything looks so delicious! 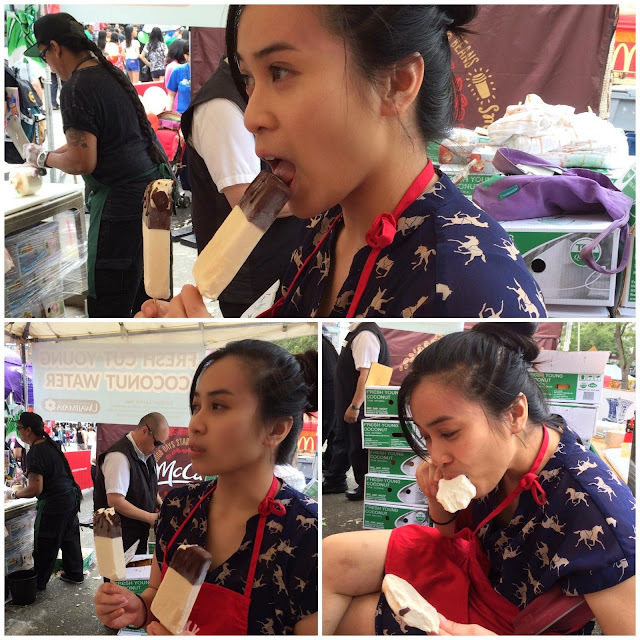 Vancouver has been having tons of food fests lately and they have been amazingggg. Thank you! I will visit your blog soon!